RM Barking and Dagenham End of Tenancy & Move out Cleaners | Quality Property Care Ltd.
You might be pretty certain in your cleaning abilities, but when it comes to cleaning at the end of your tenancy agreement - or as it is also known - deposit back cleaning, it is a great idea to count on some professional help. 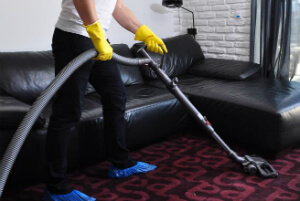 Quality Property Care Ltd. provides a professional end of tenancy service to satisfy the residential and commercial end of tenancy cleaning needs of the people and companies of Barking and Dagenham RM and the region. The post tenancy cleaning company provides a high quality cleaning service which comes with a forty eight hour top quality assurance and at an amazingly competitive end of tenancy cleaning price. Call our phone 020 3746 4287 or send an online inquiry to get more details on the rate and conditions for reserving our expert tenancy cleaning service. Quality Property Care Ltd. has been providing professional cleaning services to the residents and businesses of Barking and Dagenham RM since 2007. One of the specialties offered by the qualified and expert cleaners is the move in and out cleaning service. End of tenancy cleaning is necessary any time tenants are moving out of a residence or apartment they have been renting. The landlord approves the cleaning and the condition of the property prior to giving the deposit back to the leaving renters. Our company has lots of years of experience of operating with the biggest companies and property owners, and based on the experience and the requirements of the property owners and administrators, has designed a complete deposit back cleaning checklist for its cleaning teams. Drawers and shelving we clear out, eliminating any excess items from the renter, profound dusting off and wipe down grips inside and out. To deal with home furniture we have a special upholstery cleaning service, which can be reserved in addition to the end of tenancy cleaning service. We wipe down tables and get rid of slimy stains and fingerprints. There is a primary home furnishings cleaning process, we eliminate the cushions and hoover inside of the couch to remove crumbs and dust. Bed furniture and drawers are moved so we can clean beneath, sofas and other pieces of furniture are also cleaned out so the areas below them can be reached. So, be ready to have your deposit back without any troubles, by booking our professional end of lease services offered by Quality Property Care Ltd. now. Throughout the house and sleeping quarters we take care to dust through and clean all of the woodwork, take away all cobwebs from ceilings, thoroughly clean light switches and electrical sockets. For areas where wall area cleaning is required, you can reserve per room cleaning up for 15 GBP. We wash mirrors and pictures, as well as the top of image frames, light fixtures and blinds. We thoroughly clean all buttons and skirting boards, as well as wipe on top of all doorways and door frames, clean floor edges, clean curtain rails, wash around the fire place and its surrounding area. We also wipe and dust the wardrobe inside, outside and on top, we do the exact same with the drawer - inside/out and on top. Doorway marks are eliminated as well as clean inside of drawers. We wipe down home window sills, wipe doors and get rid of fingerprints from door grips and close to door handles. Floor coverings we clean extensively, we vacuum through to the edges and move furniture to access all hidden spots for a more comprehensive finish, if necessary we can wash with a dry solvents or use a steam cleaner to extract deeply embedded discolorations. Hard floors we rinse with a mop and check for and eliminate residual hair and dust. Hurry up to make a rapid reservation for our adaptable end of tenancy cleaning company Barking and Dagenham RM services! Quality Property Care Ltd. is ready for your end of tenancy cleaning needs. Receive a free quote today or ask for further info! Use that 020 3746 4287 phone number or the internet booking form and arrange for our end of tenancy cleaning service in Barking and Dagenham RM at small fraction of the cost right now!